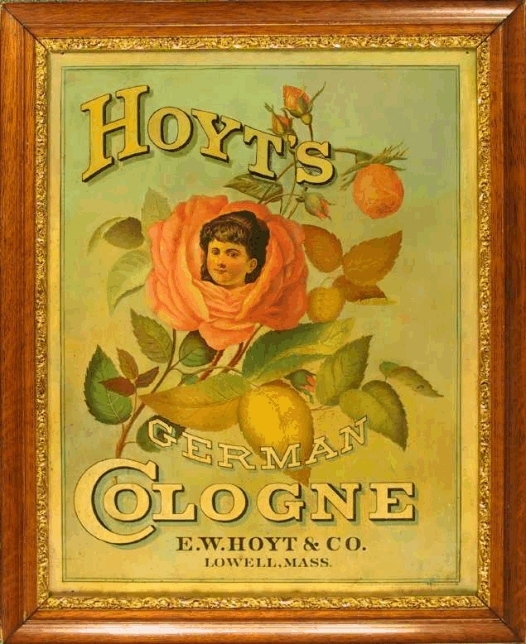 The Advertising Collections of Cliff & Linda Hoyt: Featuring Lowell companies of J.C. Ayer, C.I. 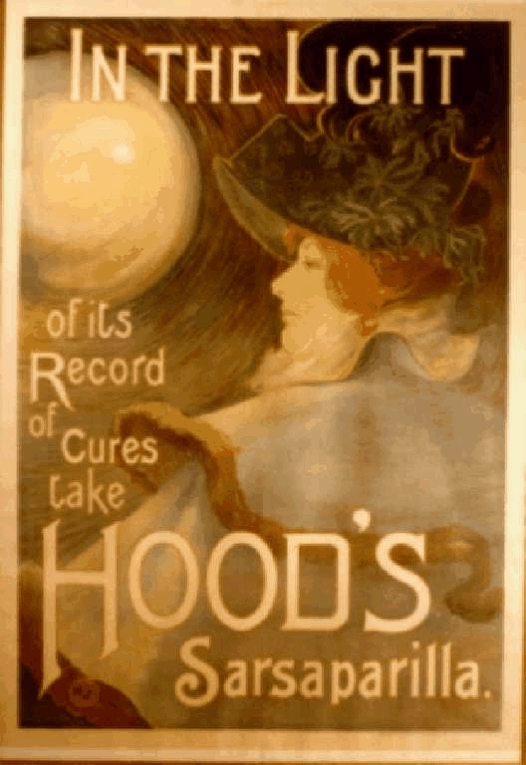 Hood, E.W. 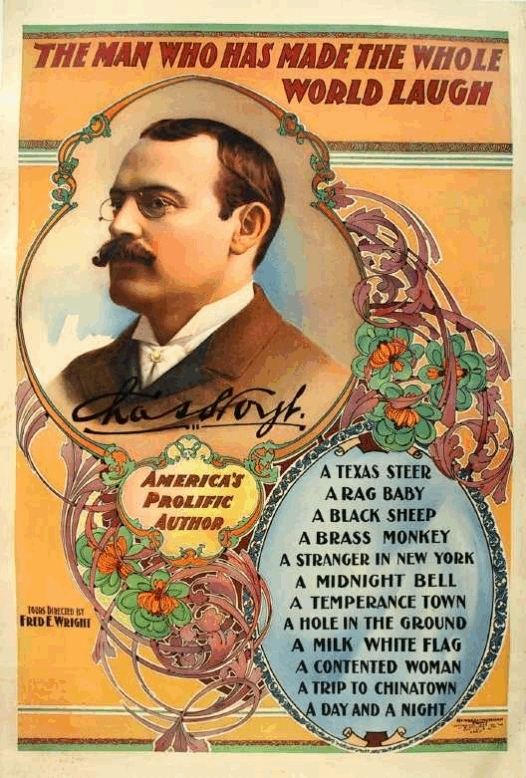 Hoyt and playwright Charles Hoyt. A Century of Cures, Dr. J.C. Ayer & Co., Lowell, Mass., U.S.A.
Century of Cures, Dr. J.C. Ayer & Co., Lowell, Mass., U.S.A.
Signs displaying the lithographers art of the 1880s and 1890s. Click the image on the left to BUY or just find information on the 2018 book published on the 100 year history of the company. 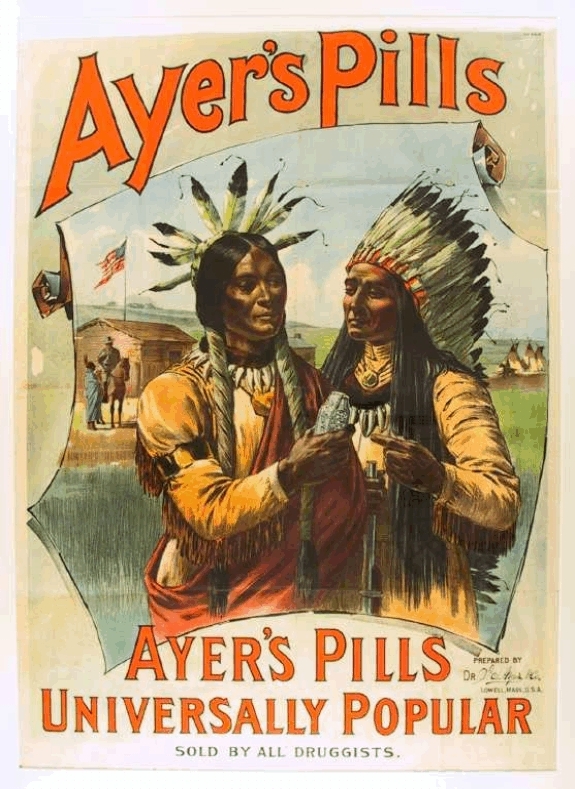 Interested in the history of patent medicine, antique advertising, or the medical company of J.C. Ayer & Co. of Lowell, Mass.? Then you will want to read A Century of Cures, the 500 page history of the companies of J.C. Ayer. The book contains over 750 color images of Ayer- related artifacts. 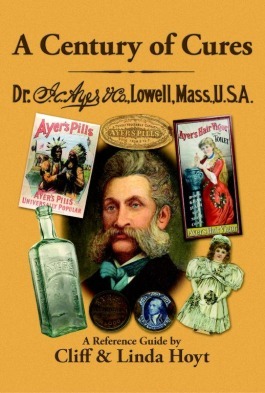 from Lowell, Mass., makers of Sarsaparilla, Pills, Tooth Powder, TusSano Cure, Peptiron, etc. from Lowell, Mass., makers of German Cologne, Rubifoam for the Teeth, etc.